Mustard Products contains wheat and soy. Produced in a facility that also processes milk, egg, peanut, and tree nuts (pecans, almonds, coconut, cashews, walnuts). Ham is gluten-free. This savory pairing is full of classic Hickory Farms flavor! 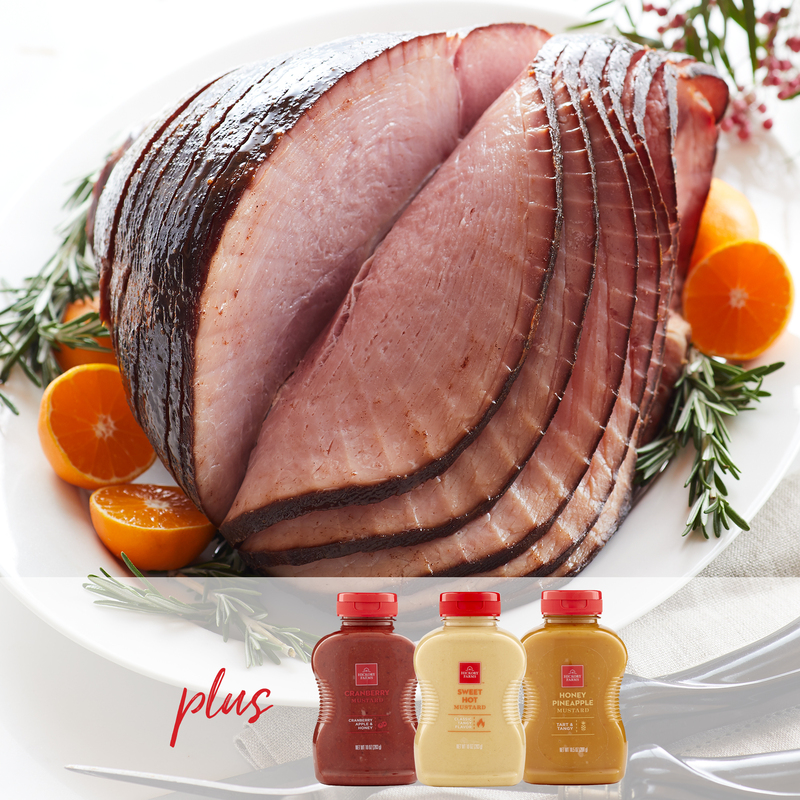 The star of this set is our delicious HoneyGold Spiral Sliced Ham, which has an award-winning sweet and tender taste. It's slow-cured with real honey and will be the perfect addition to any party menu. 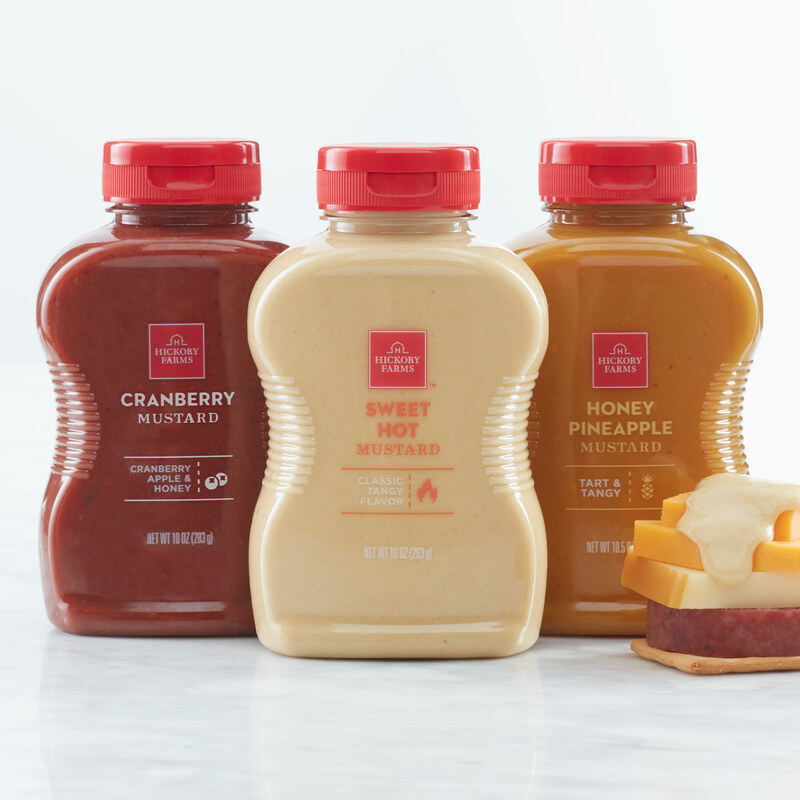 This collection also includes three bottles of our favorite mustards. 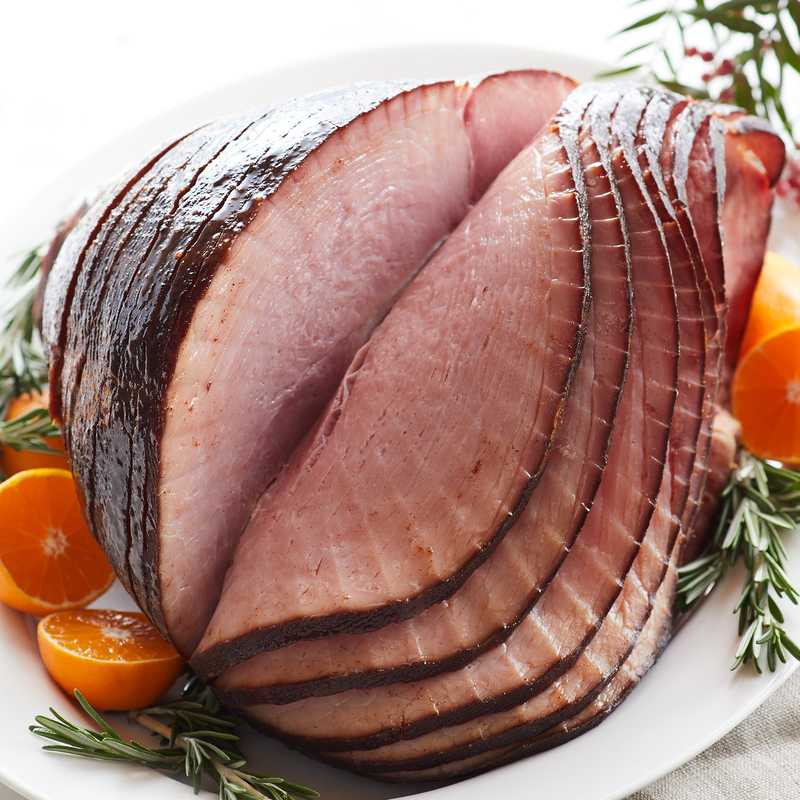 Their bold flavors are the perfect complement to the sweet and salty ham. Try it alongside your main course at a dinner party, or it's great on a delicious leftover ham sandwich!